With its stunning setting right on the edge of the beach and plenty of surrounding natural attractions to explore, Côte Mer is the perfect place for luxury camping lovers to use as a base. You spot in the sun is waiting to be reserved when you contact LuxCamp. 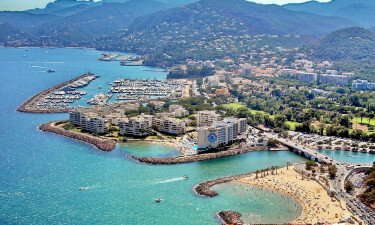 Guests will be able to spend their camping holiday exploring the enchanting Cannes coastline, which is scattered with enchanting beaches as well as resorts and towns to explore. Taking a boat trip to the picturesque Îles de Léhrins is also a great way to get a feel for the intense natural beauty of the area. 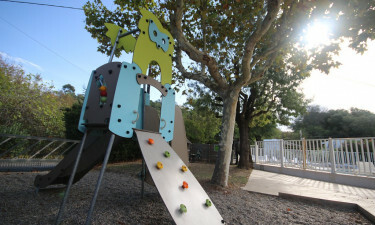 Why choose Camping Côte Mer? It takes just a couple of minutes to walk from this luxury camping site to a stunning sandy beach. People who enjoy messing about in the water can also take part in a number of aquatic activities here such as sailing, canoeing and snorkelling, and lessons are also provided at the nearby sailing school.